Also I forgot what kind of camera you said you used? The sweetest cherries are the hard, black ones. Mmmm, that crunch! You are such a sweetheart! Thank you for doing this for us! OOoh thanks for the translations!! Now the pics make more sense! LOL! Thanks for the translation! I love the scans! hope you'll have a nice friday,hun! MMMM cherries!! I love white cherries!!! 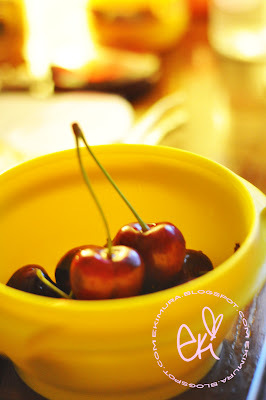 I <3 Cherries too! I love, love, love cherry coke and i even add cherries with syrup in it to make it taste more cherry lol! wow, I love your blog! I'm brand new to blogging but I noticed your amazing FOTDs. I was just in Tokyo a few weeks ago and I love your makeup style. thanks for translating too! very helpful! =) eww yeah cherry flavored candy is gross...especially cherry flavors syrups and stuff..>.<"
I love this Jem cd so much. Just thought I'd say so! 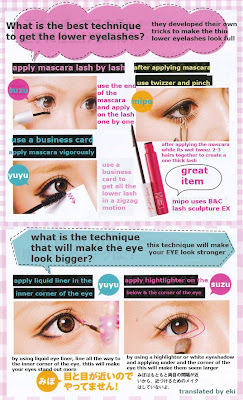 thank you so much for translating the gyaru mag!!! that was really sweet of you to and those are such wonderful tips! i would definitely have to try it! thanks for sharing the scans, Eki, and for taking the time to translate the tips for us! you are so kind and generous! i love you!! hehe and yes! i LOVEEE cherries too! but i'm not a fan of cherry-flavored candy bc they remind me of cherry-flavored medicine!! 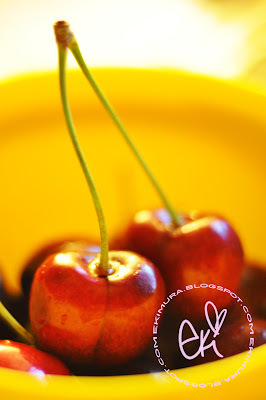 haha xD those photos that you took of the cherries look so YUMMY! i love the colors!